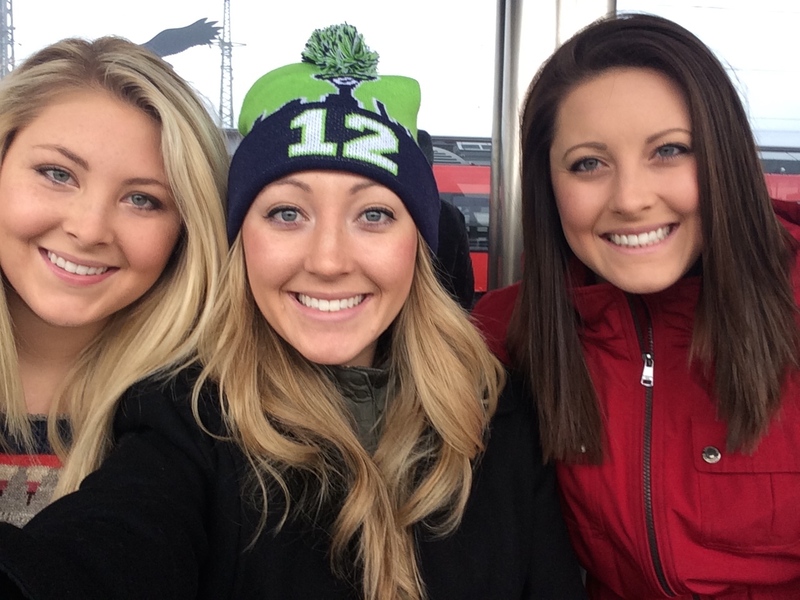 This year I received some pretty amazing gifts for Christmas – two of my sisters made the long journey across the States and the Atlantic to travel Europe with me for two weeks. 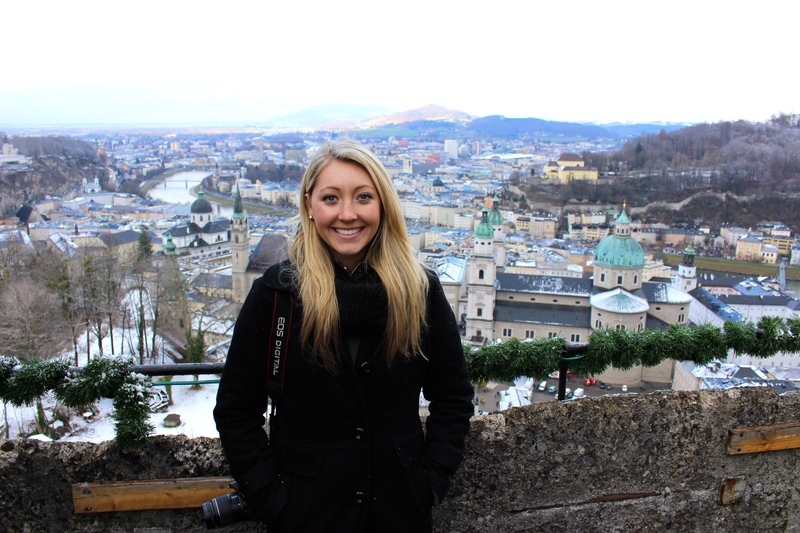 It was Bayli’s first time stepping foot on the continent and had Abbie recently finished a 5-month study abroad experience in Dublin, Ireland the past spring. Having a piece of home with me during the holidays was undeniably heart fulfilling and wiped out that little speck of homesick-ness that settles in around the holidays. That’s not to say every moment of our holiday was giggles, sunshines, and rainbows; we love each other and as sisters, love to disagree, but having them here was a happiness I wouldn’t have found anywhere else. Traveling with siblings is easy and difficult, exciting and exhausting, pleasing and frustrating, all at the same time. Most of our nights did end with laughs, good stories, new friends young and old, and one too many beers, making it a near perfect 14 days spent together. We managed to cover quite a bit of ground in those days. 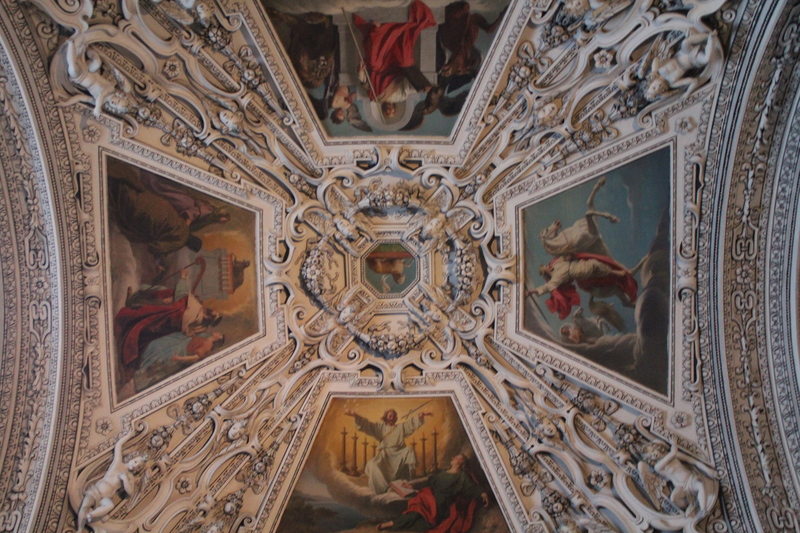 Nuremberg, Rothenburg, and Munich, Germany – Salzburg, Austria – Venice, Italy and my current hometown Madrid, Spain. 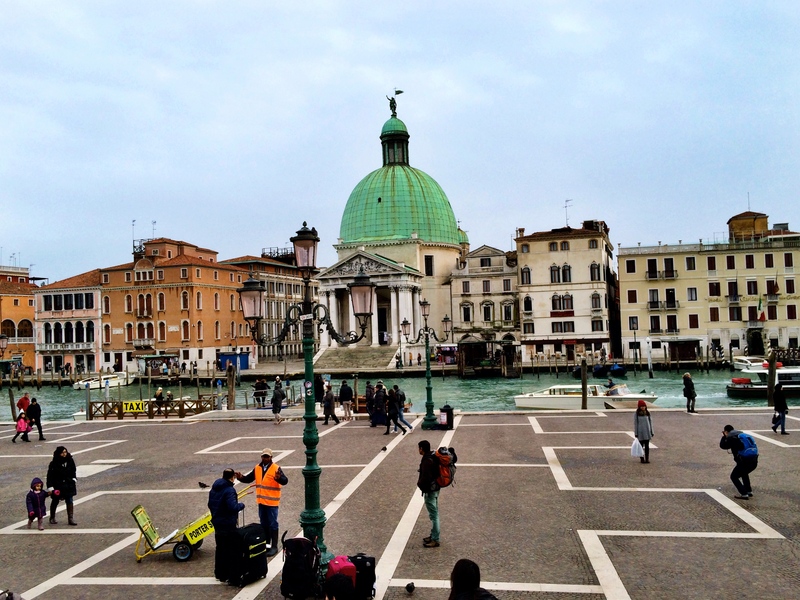 We saw the sights, ate the food, and watched movies before bed just like we would do at home. 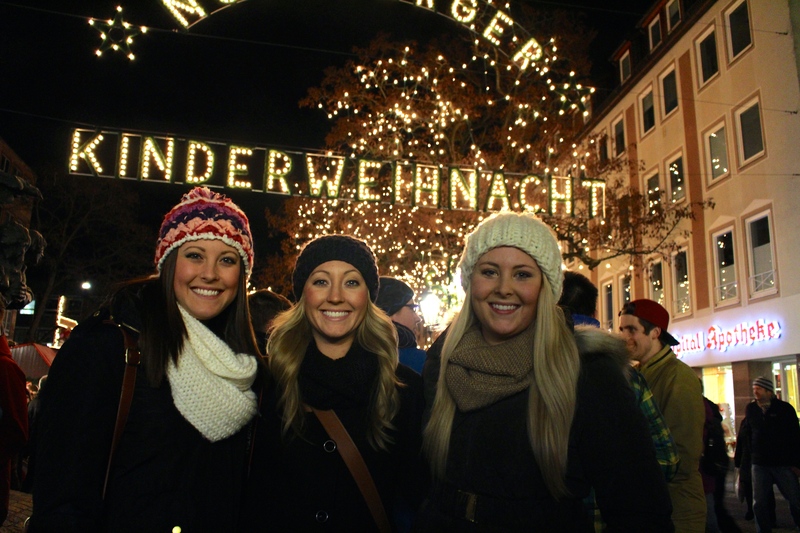 Germany was our first destination in an effort to fit in as many Christmas Markets as possible before December 24th, the day Germans celebrate Christmas, and therefore marking the end of many of the grand Christmas Markets. 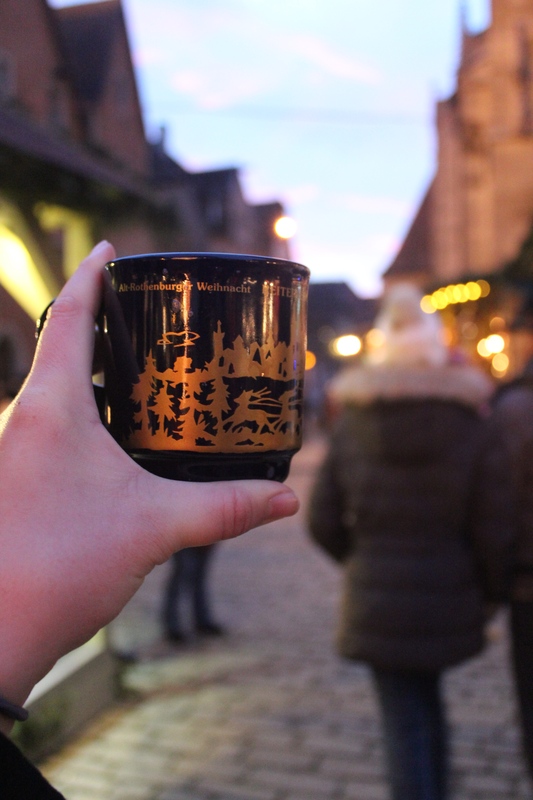 Their first mug of Gluhwein! 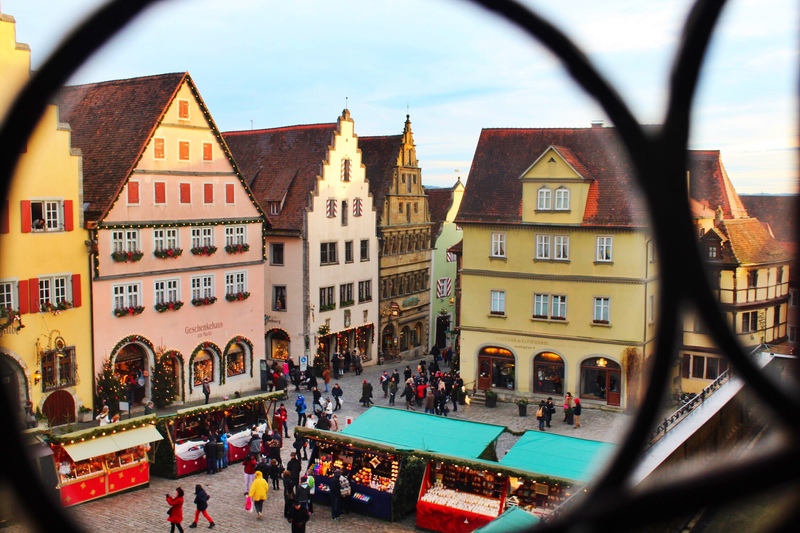 Rothenburg is a fairy-tale town – really! 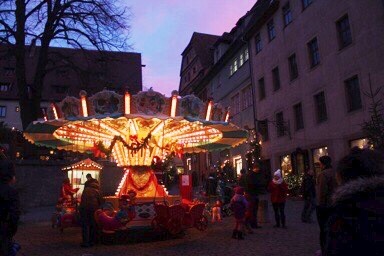 Walt Disney based the scenery in the classic movie Pinocchio on the town of Rothenburg. 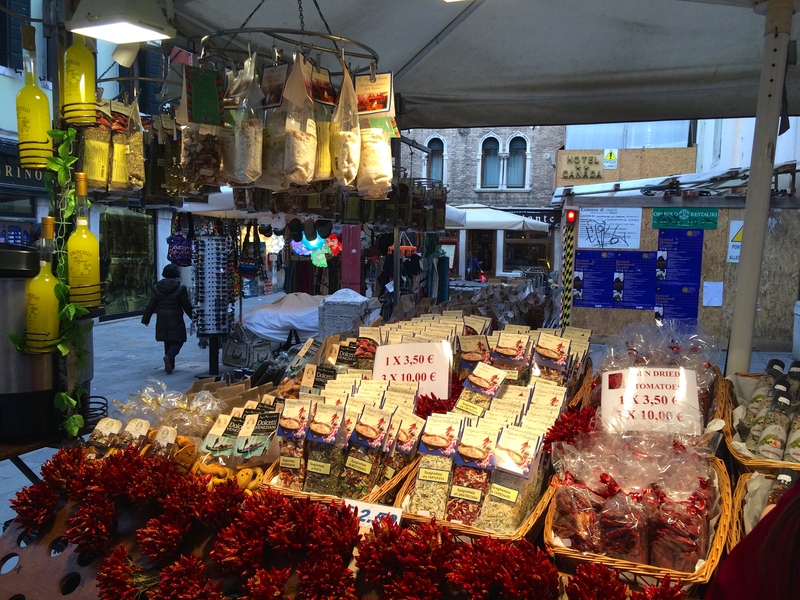 The market was small and satisfying, and remarkably there weren’t too many tourists. 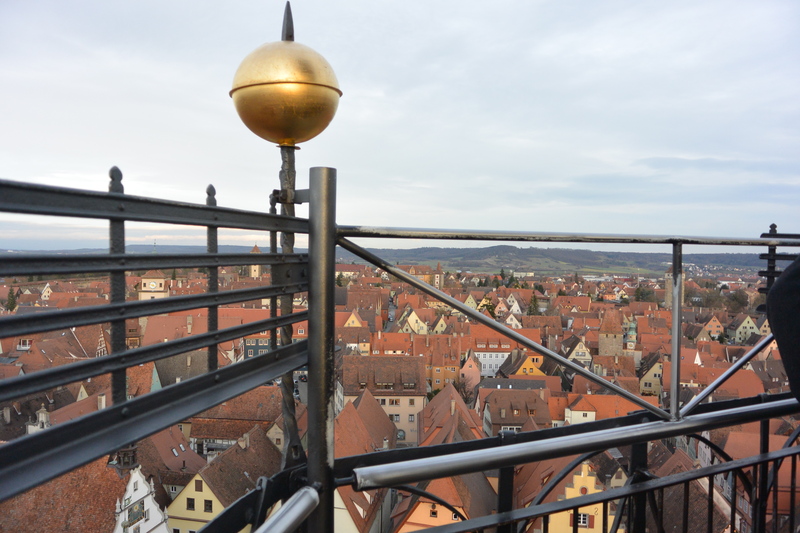 We climbed the bell town in the central plaza to overlook the sprawling village and typical German landscape, and then continued our window shopping, Gluhwein and sausage consumption, expeditions. The short journey from Nuremberg is definitely worth the 3 train changes it took to get there. Rothenburg is the quaint town I imagine most people envision Nuremberg being until they arrive there. 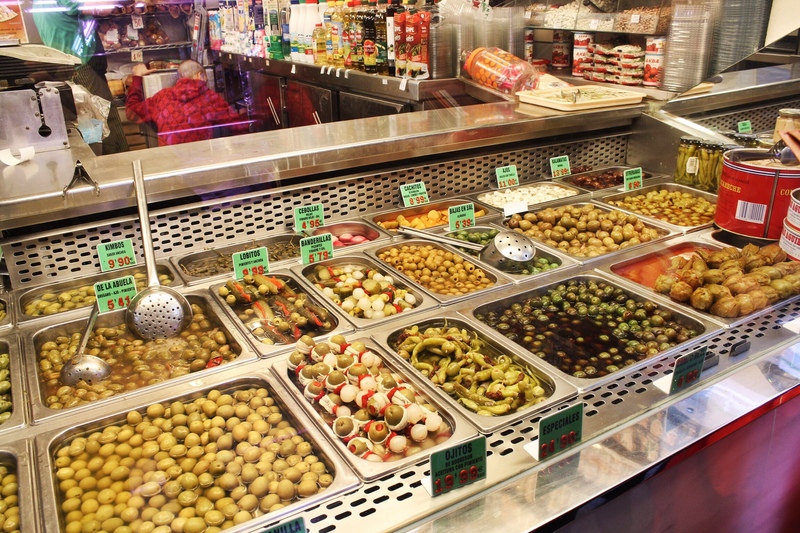 Multiple kinds of sausages! All delicious. Spicy, wild boar, and pork. Yum yum! 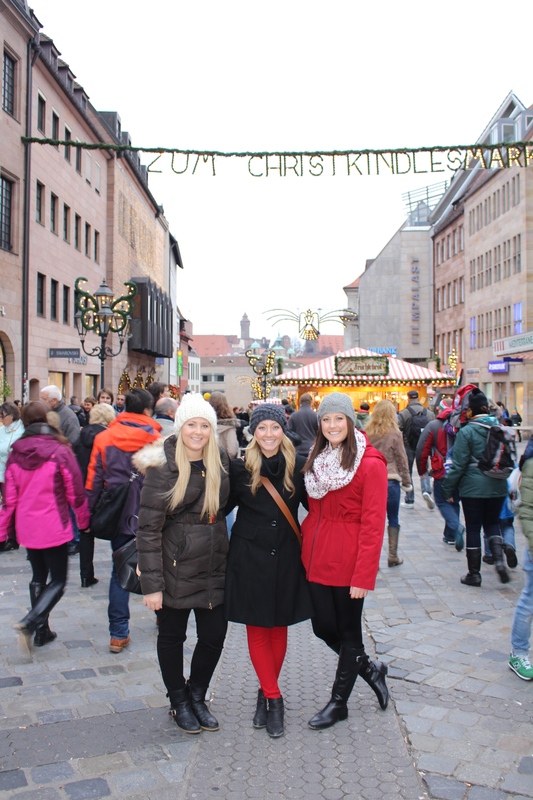 Nuremberg was cold and grey but the sparkle of Christmas lights helped brighten our spirits. 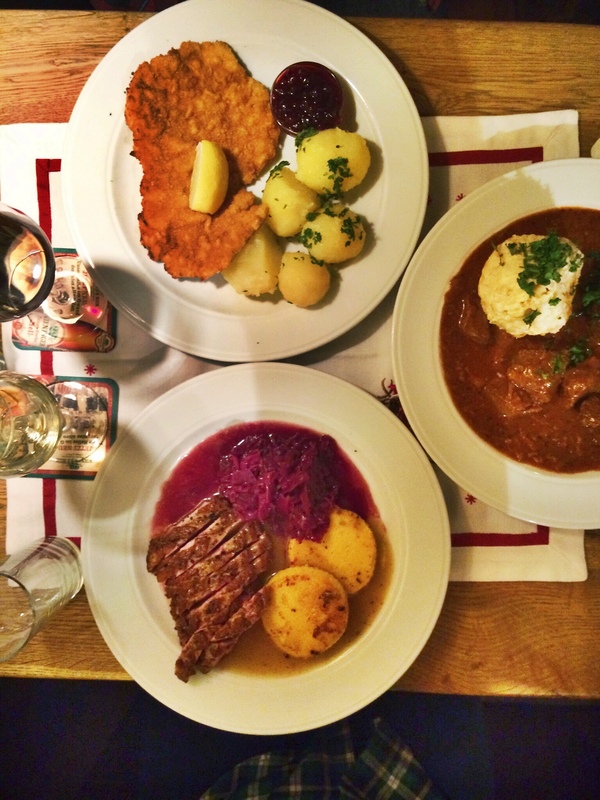 We ate the most delicious German dinner at Albrecht-Düerer-Stube, a homey establishment ran by the nicest wife, husband, and daughter team. 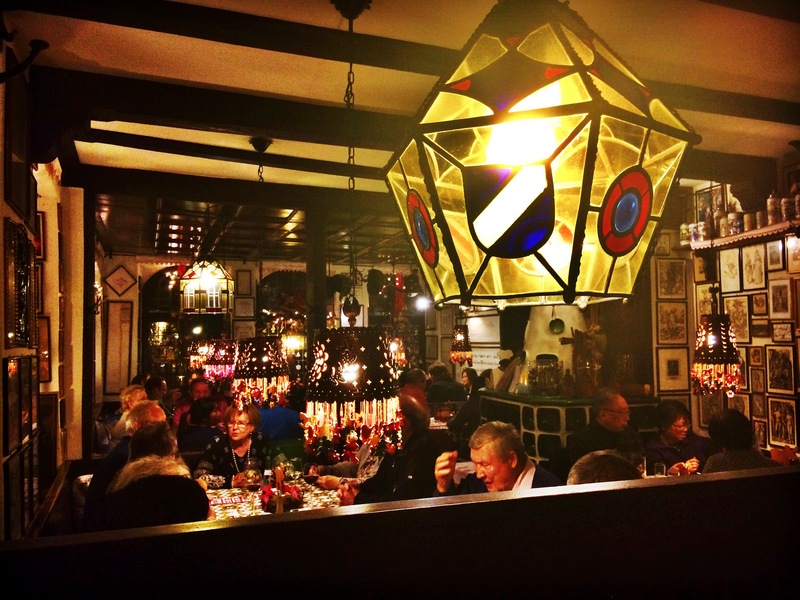 They made sure our food was the perfect first taste of Germany and the collection of decorations and knick-knacks spread throughout gave the feeling of dinner at grandma’s house. 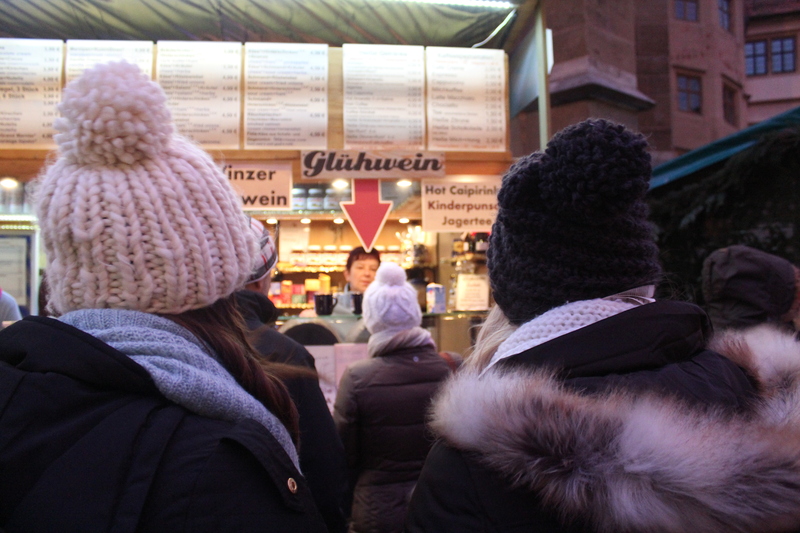 After two days in the country, we finally made our way to the world famous Christkindlesmarkt. 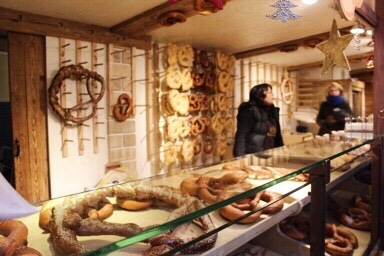 Browsing every stall and spending our euros on Gluhwein, Himbeerwein, sausages in rolls, and gingerbread. 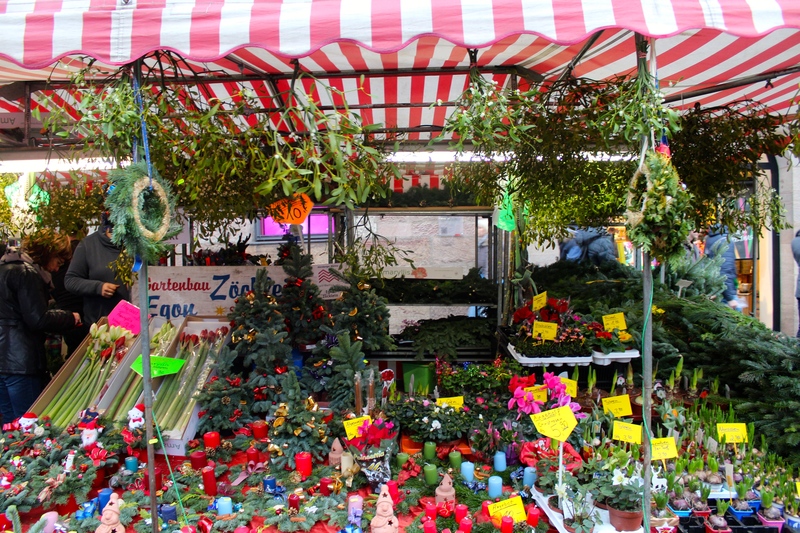 As you cross the bridge away from Christkindlesmarkt you find smaller stands selling everything from delicious cheeses to beautiful plants. These were my favorite to peruse as they were often less crowded and broke up the monotonous of the ornament and gingerbread vendors. 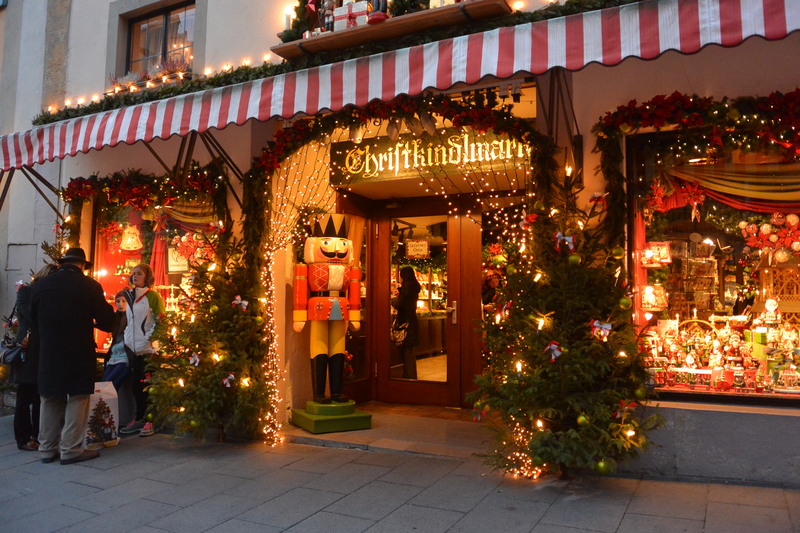 When Christmas Eve arrived we made our way to the bigger city of Munich. We dropped our things at our hostel and beelined it for Zum Augustiner to drink some of the best beer in Bavaria before it closed for the holiday. 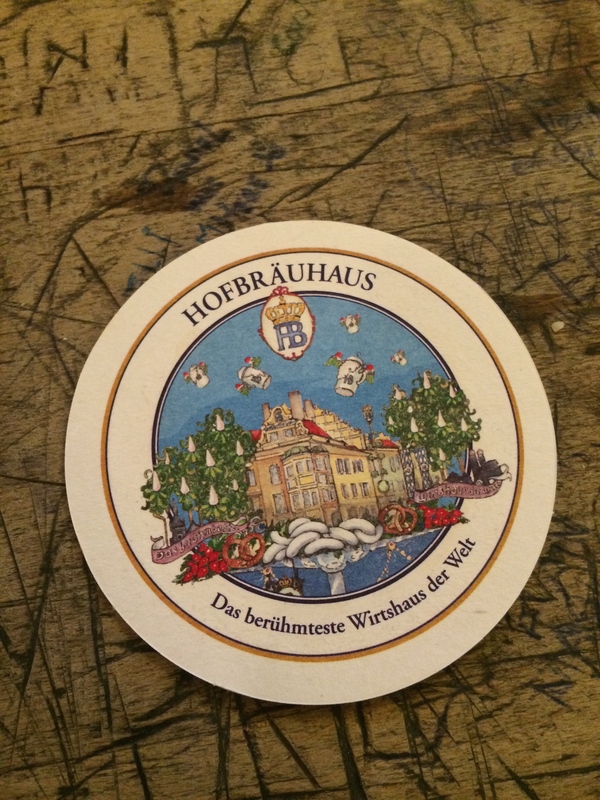 After each trying a different beer and receiving many compliments from the waiters, we made our way to the world famous Hofbräuhaus to round out our evening. We walked in and joined a table with a couple from Colorado and a local father and son duo. Their website said they’d be closing at 4pm that day, which left us with just under an hour to get a mas and drink ’em down. SEVEN HOURS LATER… we finally left, with the place still jubilating. 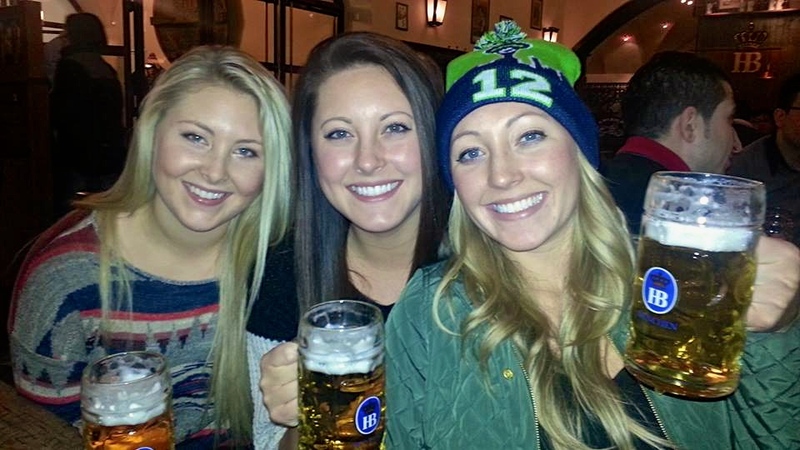 In that time we consumed several pretzels, several litres of beer, and found new family members. As in, we were everything but legally adopted by an older German couple and their small dog Sunny. Christmas is the most wonderful time of year because it brings all walks of people together. That is why it is so special. Frohe Weihnachten! 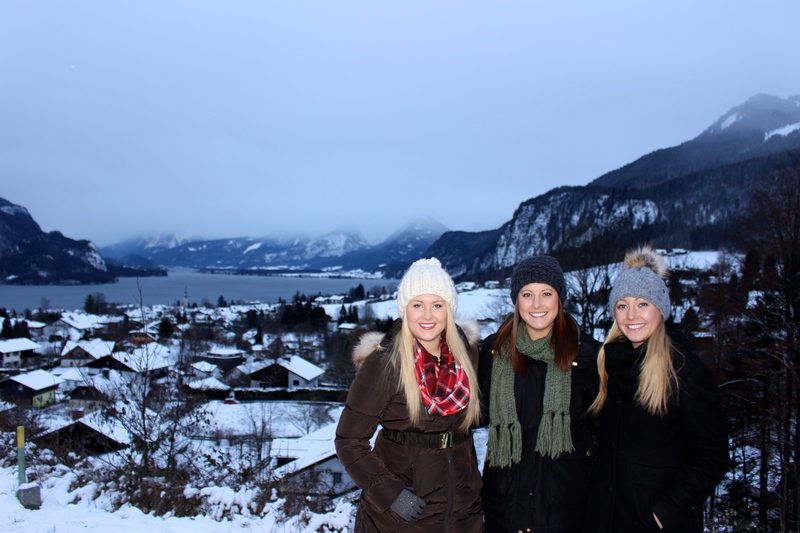 (Merry Christmas) With slight hangovers we boarded a train to Salzburg, Austria on Christmas morning. While most of the two hour journey was spent sleeping we managed to catch some glimpses of the beautiful landscape between the two cities. 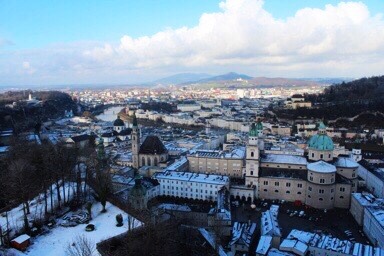 As we approached I knew Salzburg was going to be everything I had hoped for: quaint, charming, and snowy. 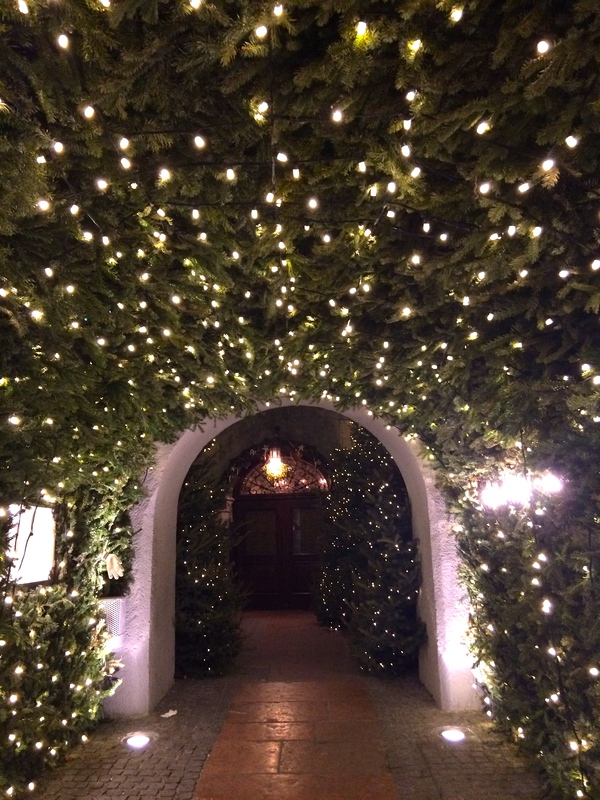 We enjoyed a scrumptious Christmas dinner at Alter Fuchs that evening when they graciously accepted our company without a reservation. Bless them. After a FaceTime session with our family back home we made plans for the next day, which would be spent exploring in the freezing cold. 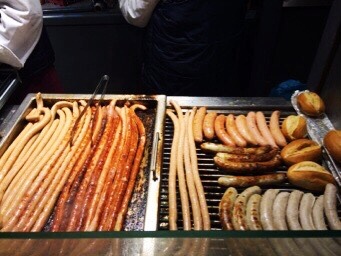 We visited the Christmas market in the old town and ate, you guessed it, more sausages and drank gluhwein. The most delicious and must try specialty, however, was the kaiserschmarrn! A delicious pancake-like, fluffy chopped up pastry with cinnamon, apples, and a berry sauce. YUM. 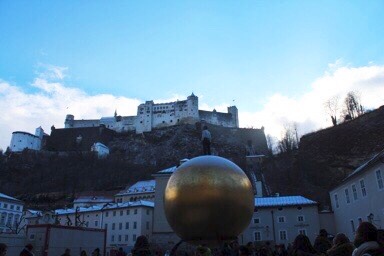 We saw Mozart’s place of birth, took the castle lift up to Festung Hohensalzburg, and feeling pressured, decided we couldn’t leave Salzburg without joining a Sound of Music tour. Best decision. Church where Captain and Maria were married in the movie, Sound of Music. 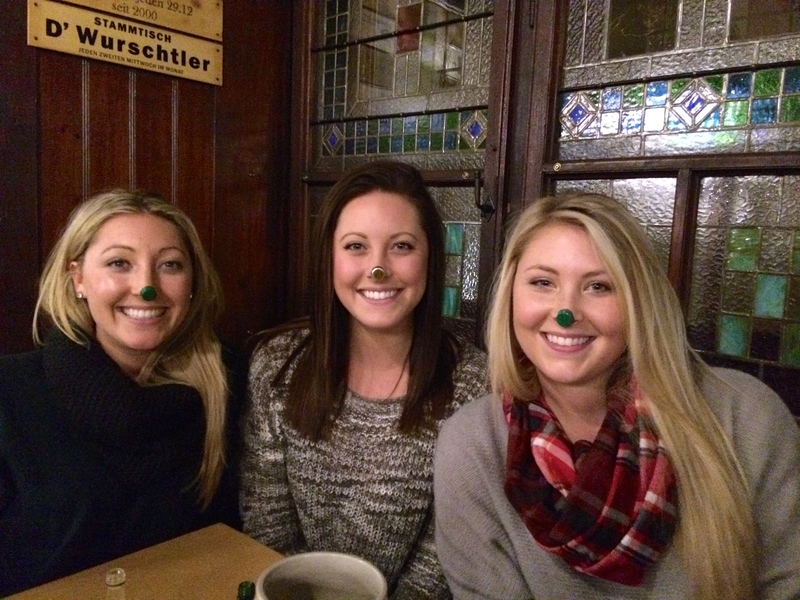 After returning from the tour we found our way to Augustiner Bier Hall, located in an old monastery, to warm up. We joined a table and then entered the large hallway to grab our own mas, and proceed to the beer filling station. 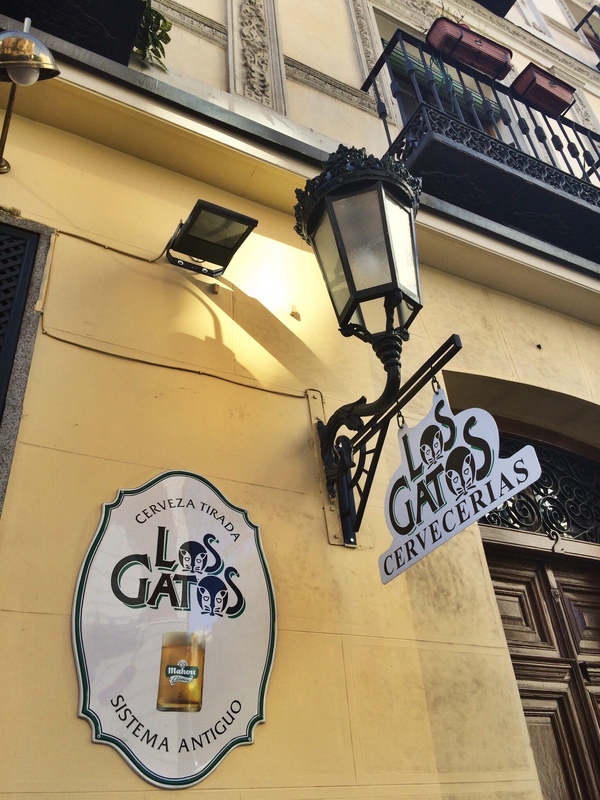 The concept of getting your own beers and perusing the varied food vendors was quite fun, like an indoor beer garden! We again made friends with a group of locals sitting at our table and were eventually invited to join them in jagermeister shots. Not wanting to appear rude, we graciously accepted and proceeded to place the cap the cap of the small bottles on our nose and down the liquid. 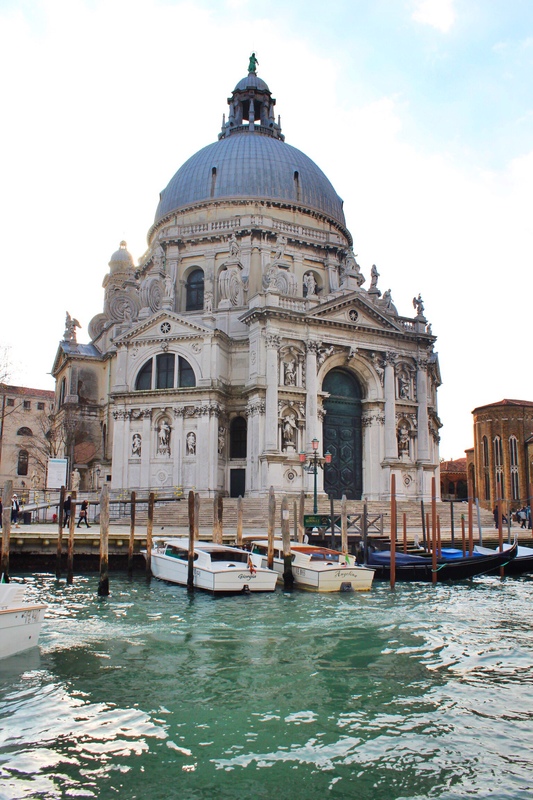 Aside from eating and drinking with locals, we also managed to view some excellent landmarks. 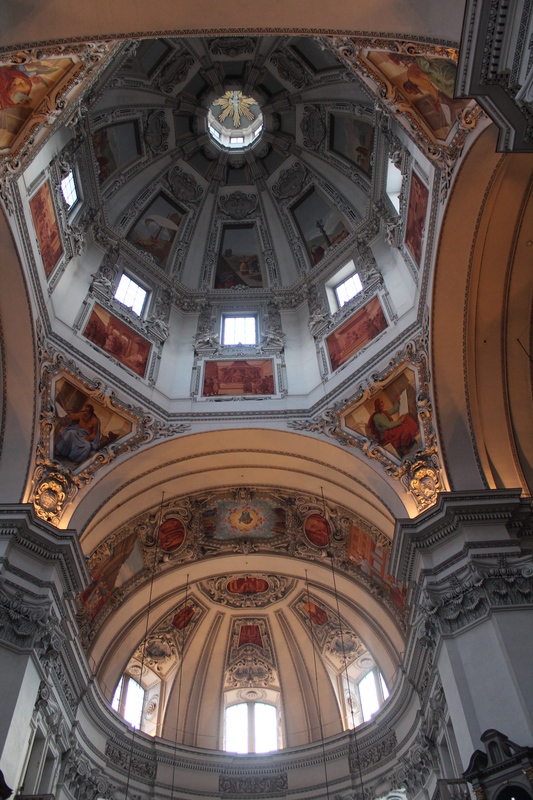 The utterly beautiful Salzburg Cathedral with its’ fascinating paintings covering every inch of the interior now stands as one of my favorite churches in Europe, to date. Gorgeous pink and gold toned paintings! 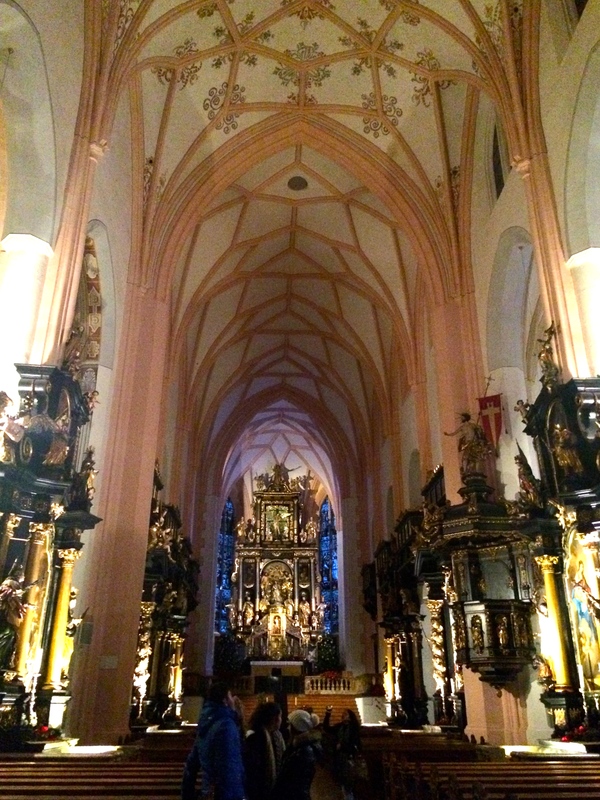 We were also completely blown away by the Mozart Dinner Concert we attended at the St. Peter Stiftskeller. 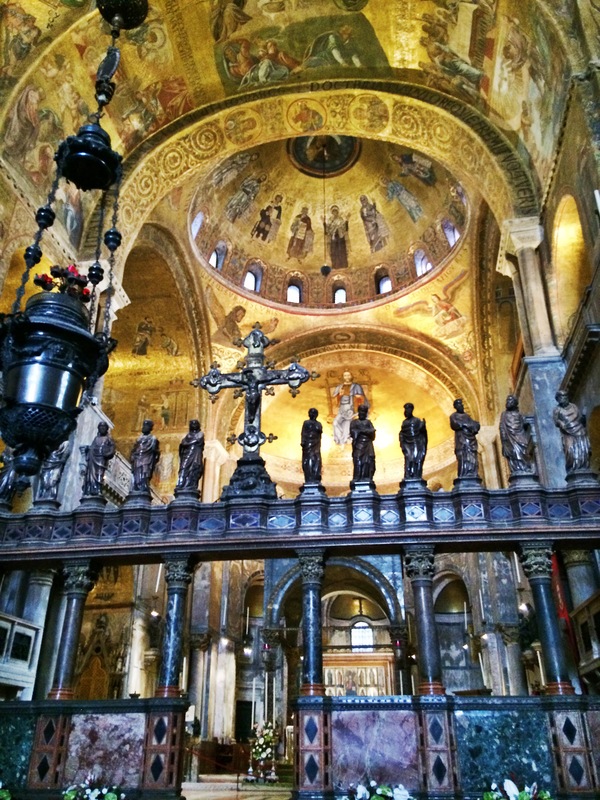 Absolutely beautiful, and the singing and musicians were truly phenomenal. 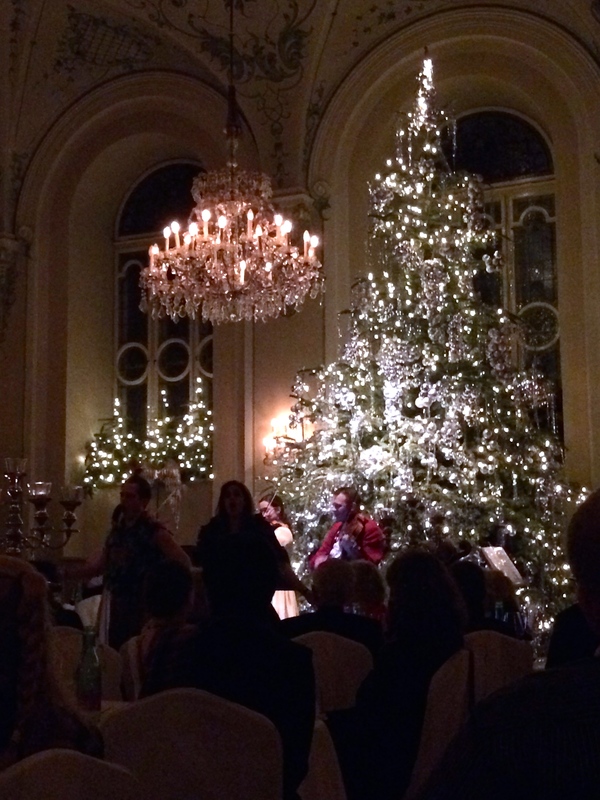 One of the best performances I’ve ever seen and a MUST DO when in Salzburg. An 8am train to catch is never fun but Salzburg offered us a beautiful farewell; snow-covered streets and big, fluffy, snowflakes fell from the sky so peacefully you almost wanted to lay down right there and watch them come down. 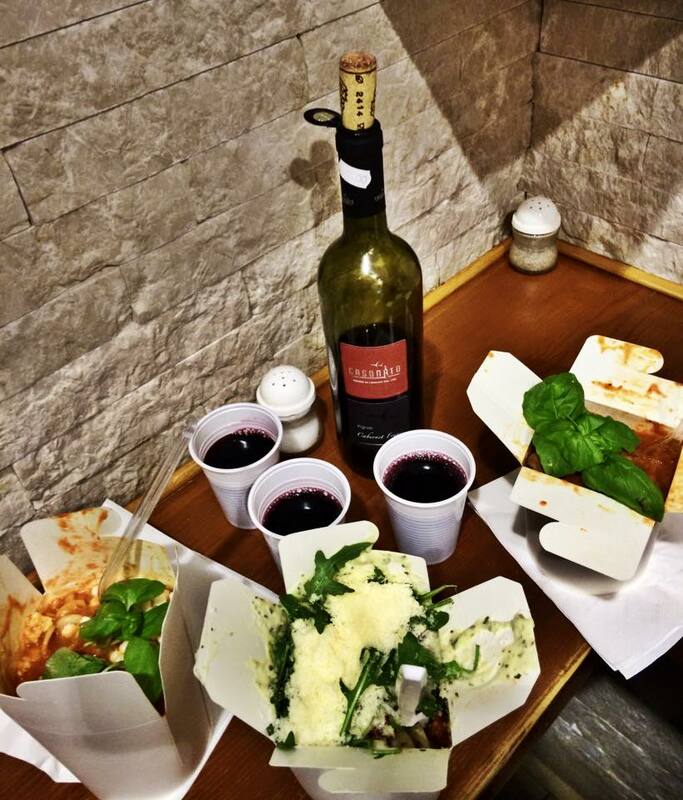 On the train, as we left the land of beer and sausages, we prepared our palettes for wine and pasta. 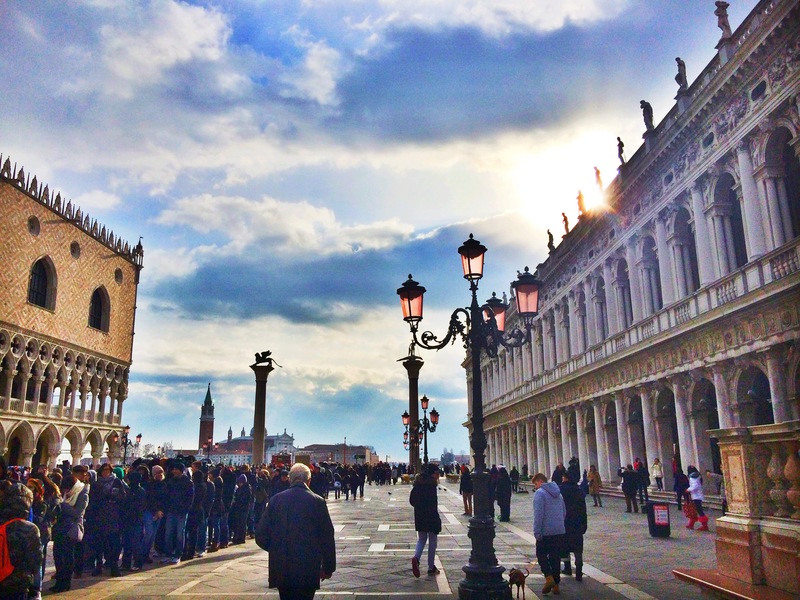 Venice was our next destination and we were intrigued with excitement. 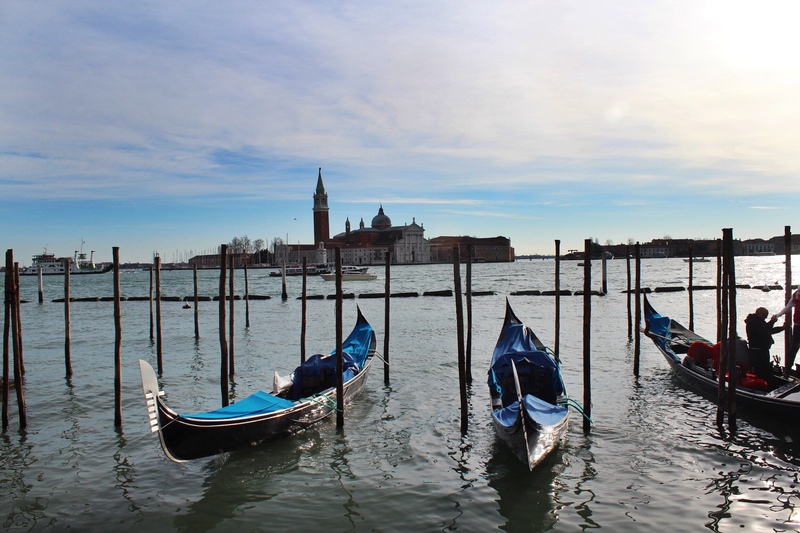 While Venice was just as cold as Austria and Germany the change of scenery was a feast for the eyes; sea-green waters, a maize of tiny alleys, and a breeze that took your breath away . We settled in for a restful night and decided to hit the ground running the next day. 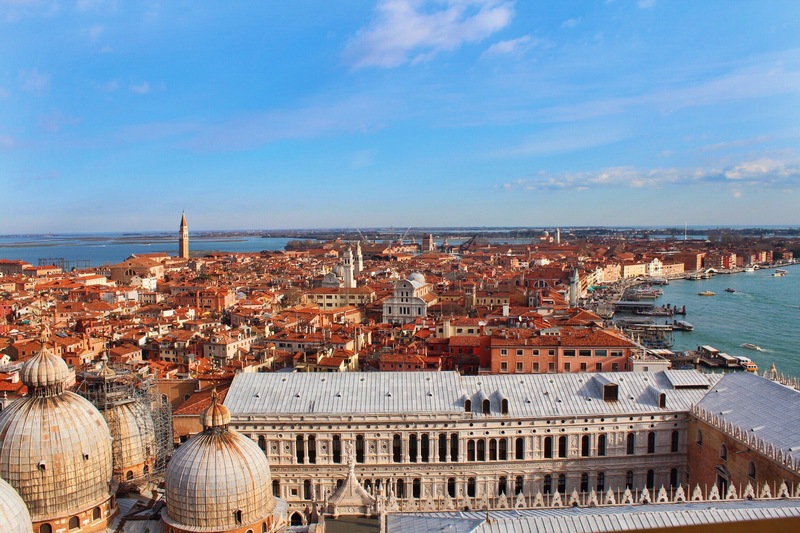 MUST DO: Pay the 8 euros to ascend the Bell Tower of Saint Mark for a remarkable birds-eye view. It was lovely to visit during the winter while tourism is at a low, there were still tourists here and there, but not like the crowds I imagine form during the summers. 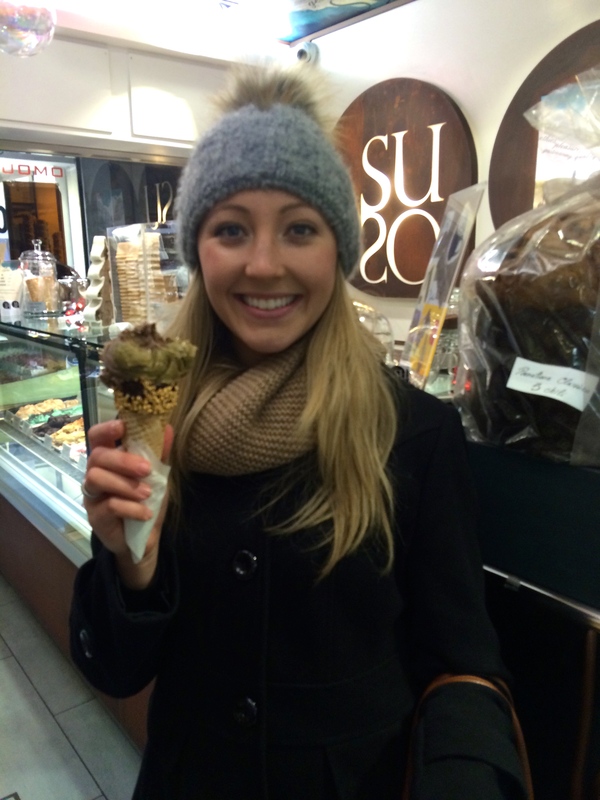 My favorite meals were fresh made pasta at Dal Moro’s – a tiny whole in the wall with great hospitality, cute chefs, and to-die for pasta creations- and the most honest to God AH-mazing Manet gelato from Suso Gelatoteca. 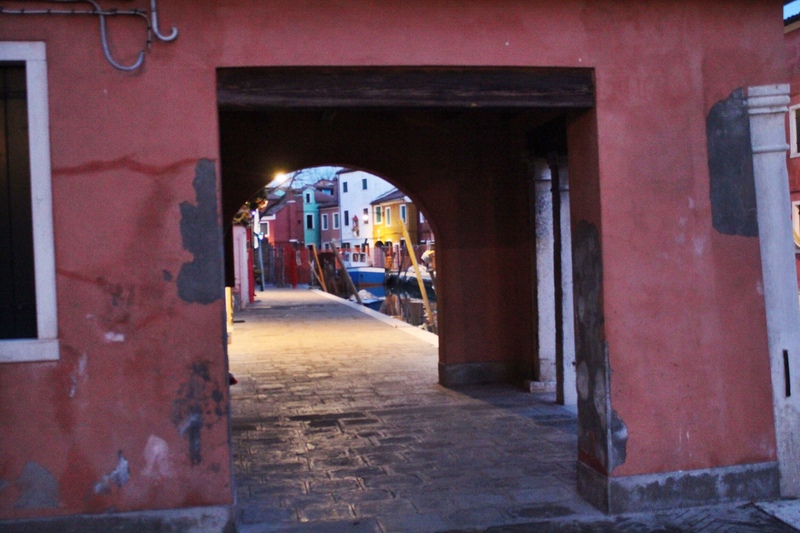 We also spent one afternoon touring the other islands of Venice: Murano, Burano, and Torcello. 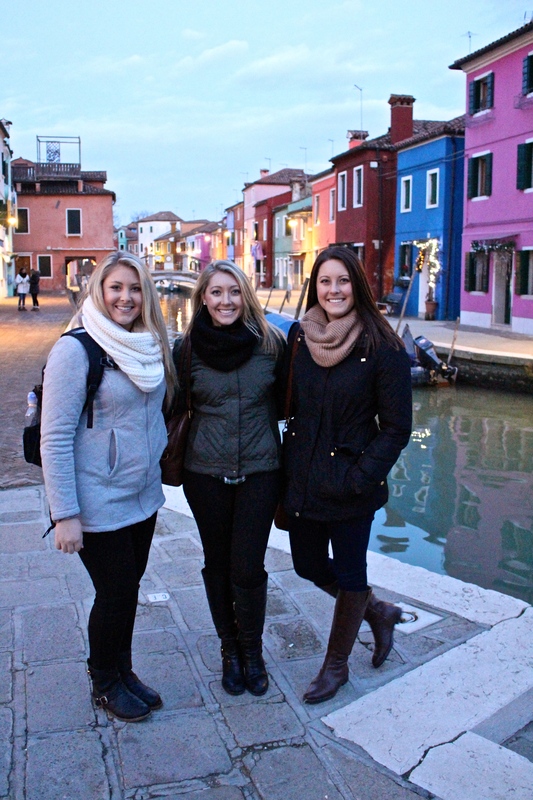 Our time was cut short on the colorful island of Burano since the sun sets so early during the winter, but it was well-worth the trek. I only wished we had another afternoon to go back to it and do more exploring and shopping! 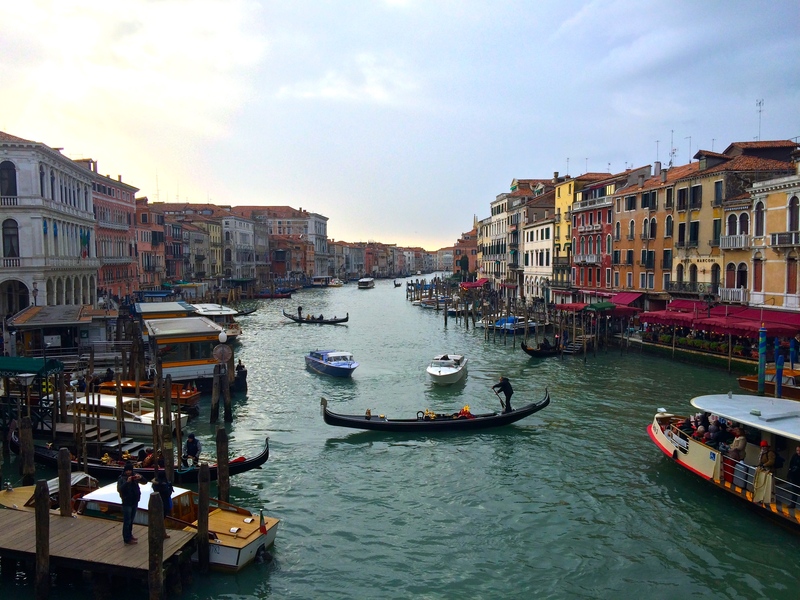 We spent our last day in Venice exploring the alleyways on foot and the length of the Grand Canal via vaparetto (public water ‘bus’ transportation). We grabbed a few seasonings, oils, and sun-dried tomatoes before enjoying our final meal at the aforementioned Dal Moro’s. 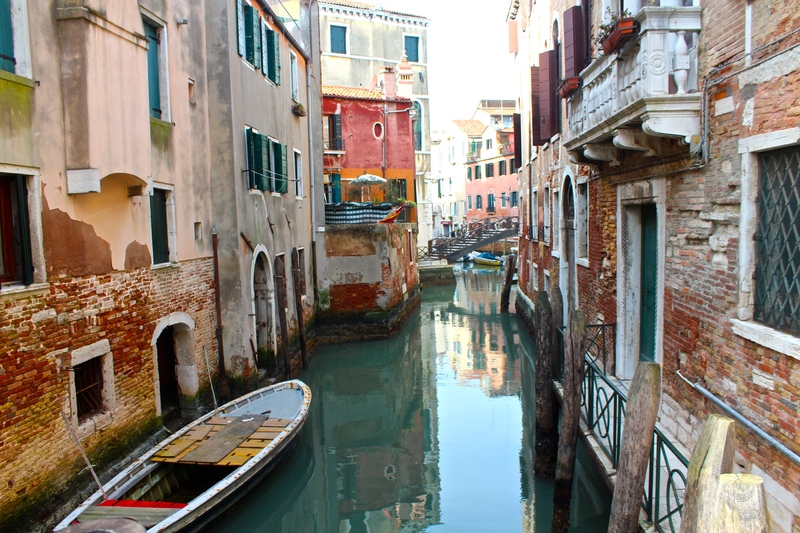 Something about standing in that tiny place with a bottle of wine and carton of pasta brought our time in Venice to the perfect ending. 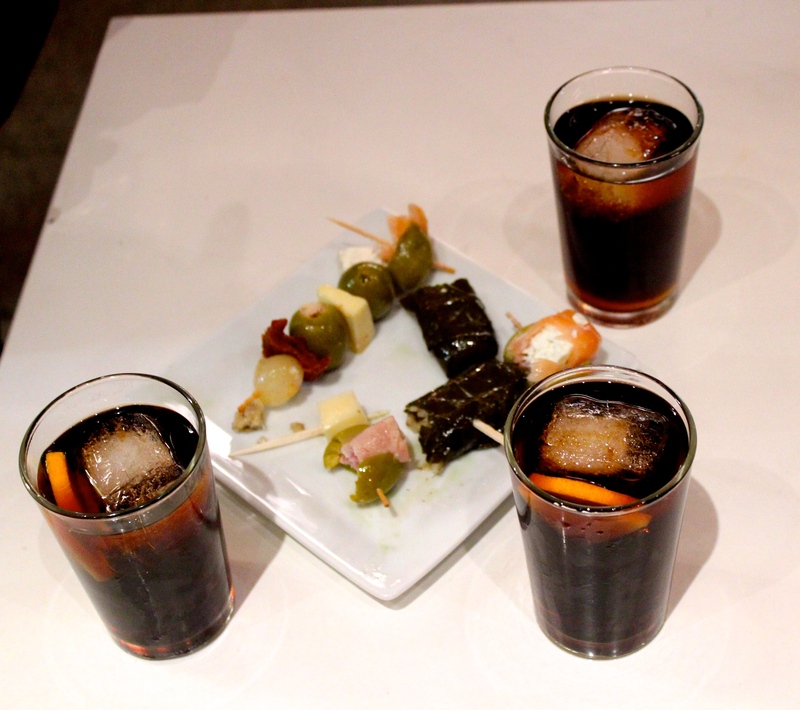 We were now onto the land of tapas and tinto de verano! 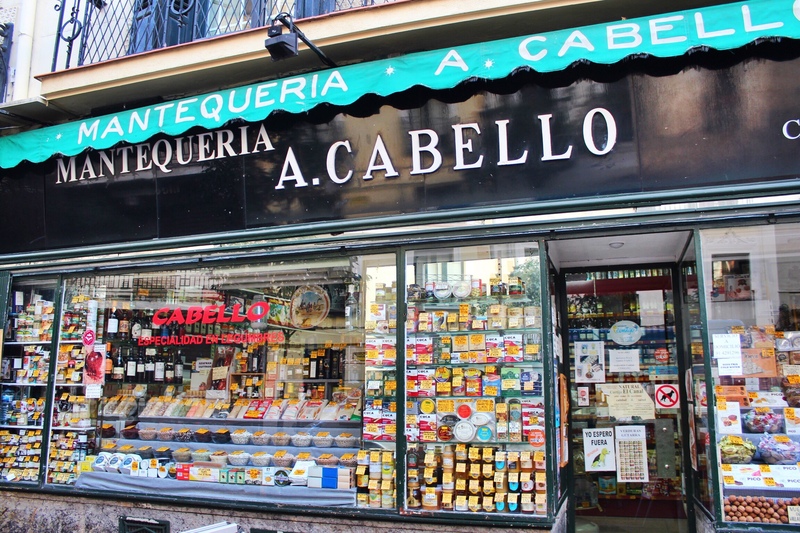 My Spanish hometown of Madrid that I couldn’t wait to share with my sisters. 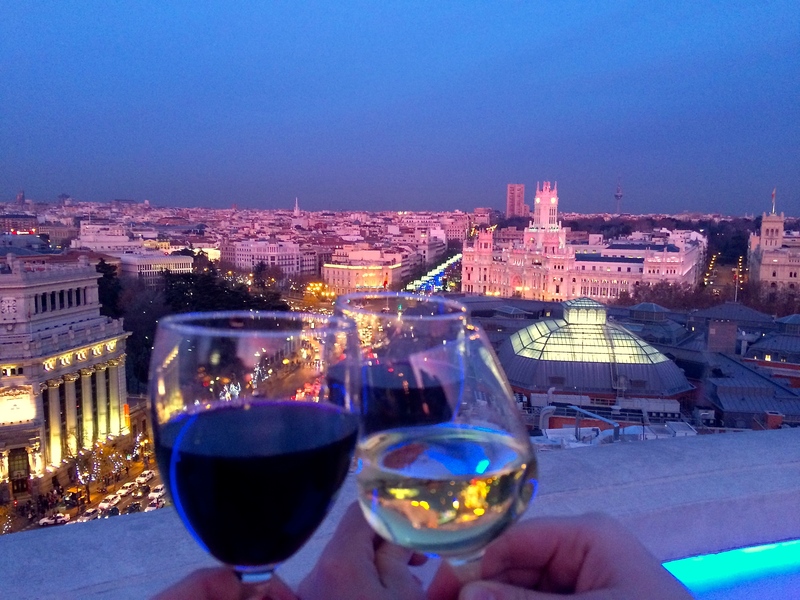 It was New Year’s Eve and we were ready to get our party on in Madrid just as soon as our plane could get us there. 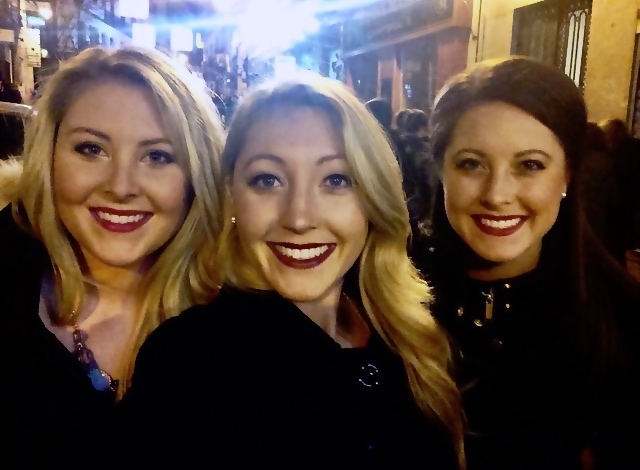 Ringing in 2015 by dancing the night away with my sisters is one that I’ll never forget. We weren’t able to get into the famous Sol plaza and view the clock tower with the thousands of people about, but we were content with our champagne-filled water bottle and 12 grapes we devoured per tradition, during the last 12 seconds of 2014. 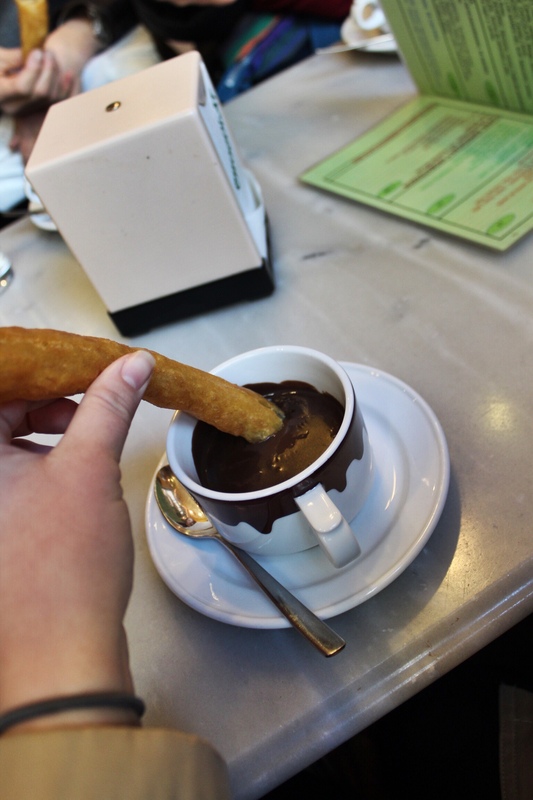 On Saturday, we did perhaps one of my favorite excursions ever and long thought about food tour with Madrid Food Tour. Epic, amazing, worth every penny. I want to do it again. Like, everyday. 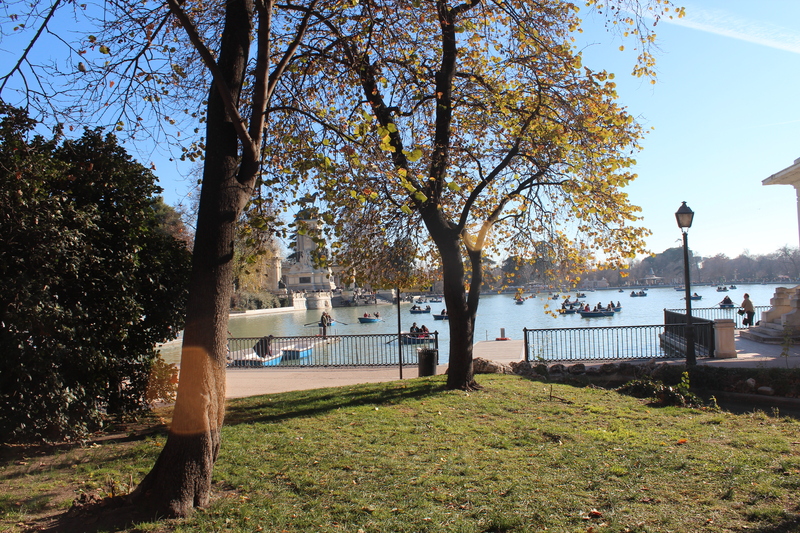 We spent time in some of my most adored places in Madrid including; a sunny afternoon in Retiro Park, drinks on the rooftop of Círculo de Bellas Artes, and tapas at Mercado de San Miguel. 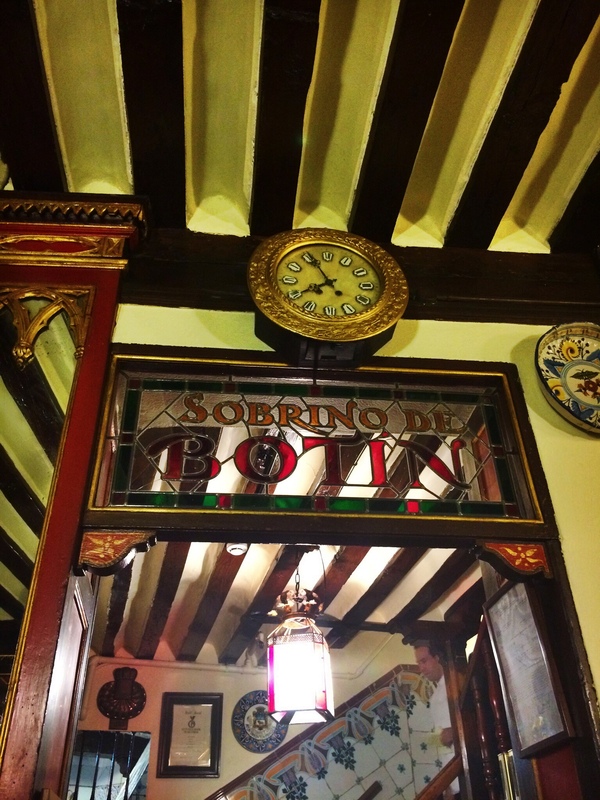 Our final night together was spent dining at the oldest restaurant in the world, one of Hemingway’s favorites, and the restaurant main characters in The Sun Also Rises ate in: Botín. 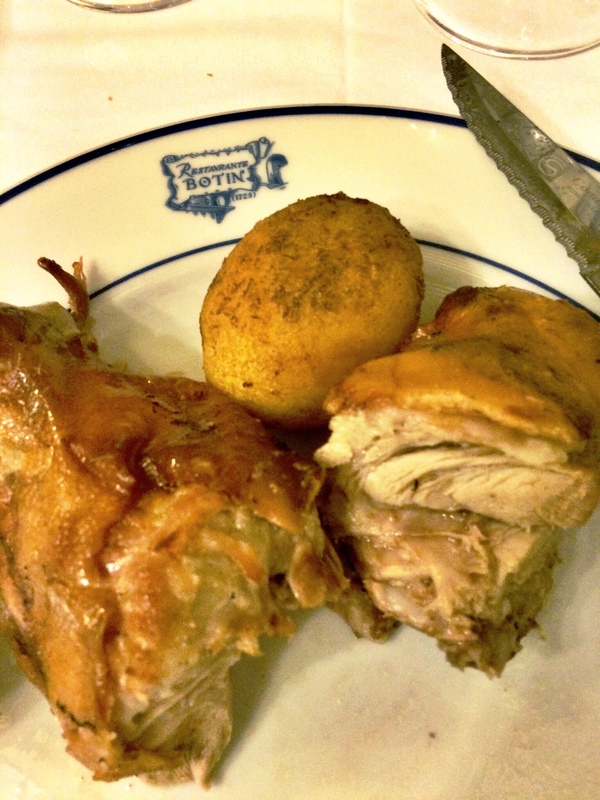 The infamous roast suckling pig was beyond delicious and the recommended scrambled eggs with black sausage are a dish I could eat everyday. With a final shared bottle of wine we brought our time together to an end and the memories created imperishable.